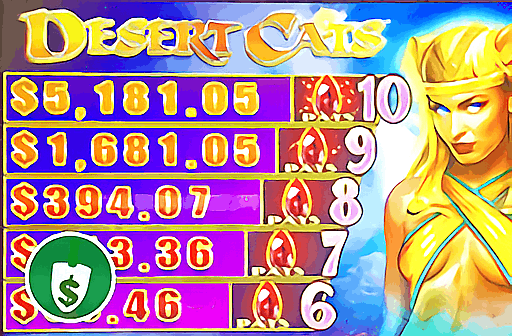 If you want to play a fun playing and high playing video slot come and find out just what the WMS Desert Cats slot has to offer you. 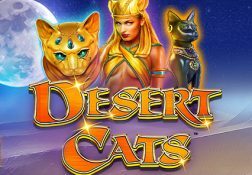 Where can I play Desert Cats for Real Money? 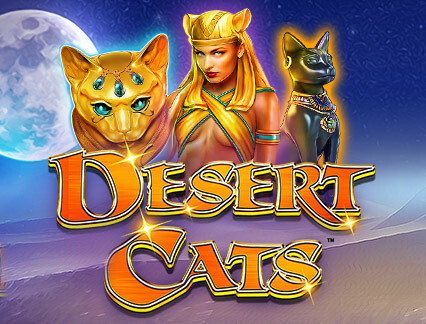 The hot and arid landscape of the desert is where you will be visiting if and when you launch and then get stuck into playing the WMS designed Desert Cats slot, and it is a slot that can deliver a very exciting slot playing experience too. 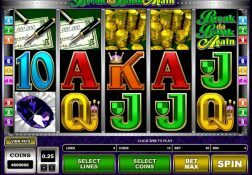 The aim of playing this slot is of course to try and live up on any of its 50 pay-lines some of the higher valued winning combinations all of which are listed upon its pay table, and with so many pay-lines on offer that may be a little easier to do than you had imagined. 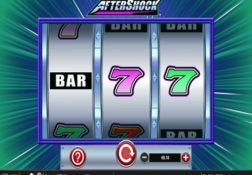 The sound effects and animations do bring this slot alive too so make sure you activate then and have them switched on when playing it. 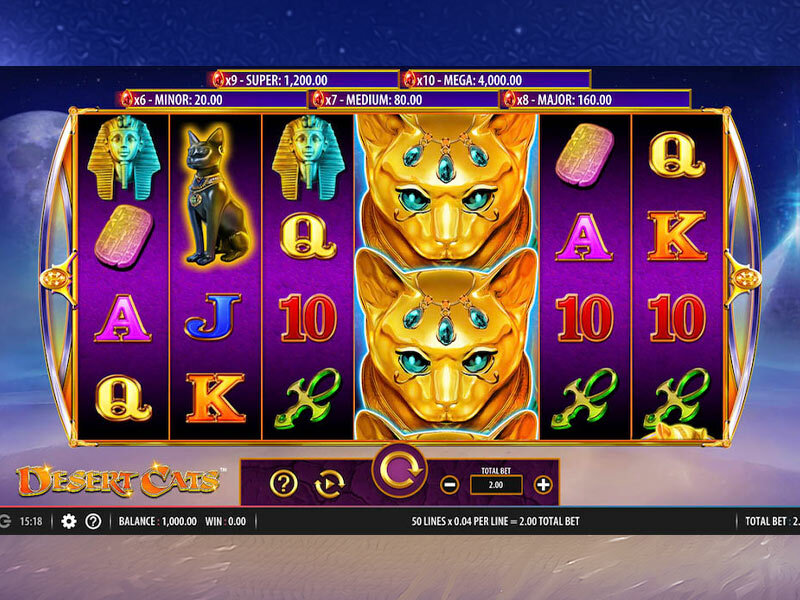 To ensure players do get plenty of fun and excitement out of playing this WMS slot game it comes with a medium variance, and very respectable payout percentage and its jackpot is a huge one which by the way can be won on any spin, and it also have a bonus game too! 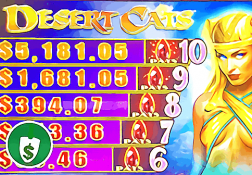 The Desert Cats Slot has a payout percentage of 95.79%.